Do you love tracking data? If so this blog is for you. Do you hate numbers? If so this blog is really for you. Known for being highly fragmented, the real estate industry, particularly the property management field, is constantly evolving. Key performance indicators, also commonly referred to as KPIs, are essential to providing a clear picture of how well your property management company is operating. There are specific KPIs that tend to be more valuable than others. While all are vital to helping you see where adjustments within your operational practices need to be made, the five listed below can be used to shorten vacancy cycles, boost tenant retention, and increase revenue. Tracking data does not require an advanced degree in mathematics. In fact, a single simple spreadsheet can be used to track all of the metrics in this blog and chances are it will be easier for you to set up than your annual budgeting software is. There is so much information to be gathered when looking at the monthly properties under management metric. Rolling out a new marketing initiative? Hopefully, you will see it coincide with a rise in properties managed. Notice your properties managed are always lower in October? Use that knowledge to double down on leasing efforts to change the trend. This metric is a simple way of measuring your property management business’ health over time as well. Many property managers do not consistently archive or hide properties in their PM software system when they no longer manage them. It is important to keep an accurate count of how many properties you actually manage and whether you are growing or shrinking on a monthly basis. Tracking this growth or decline can be done via your rent roll or with a two column spreadsheet function to create a chart if you prefer visual data to numbers. It's not uncommon for property managers to lose anywhere from 10 to 20 percent of their properties each year. You win some, you lose some, right? The key here is to pinpoint the reason as to why you are losing those properties. Some factors may be out of your control while others are within reach. What you can do is reach out to the owners of the properties you lost and ask for their feedback. Did they sell the property or did they sign a contract with a new property management company? If so, you need to know the exact reason why they chose to go with a different service provider. When taking a close look at the properties you lost and why you lost them, you also need to look at the other side of the coin -- the properties you have managed to keep. Is there a certain reason you are able to renew your contracts on those properties? Perhaps you have a lower vacancy rate on those properties versus the ones you're losing. Maybe the ones you are losing are in need of a service you don’t provide. If so, you should consider integrating that service into your offerings. Tracking revenue per property managed is a smart metric to use when planning for future growth. 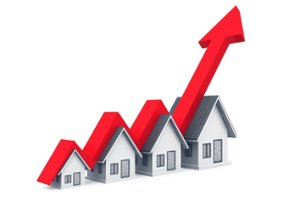 If you’re trying to weigh the opportunity cost of adding an additional 10 properties, you can take this metric as an average against the work that is required to sustain the new properties and have a more informed decision when ultimately deciding whether it is profitable to grow at any given time. Low revenue per property managed will also alert you whether you need to plan for continuous growth, or if you need to diversify your target market to bring properties in with a higher gain to meet your financial goals. High revenue per property managed spells success, but may also be an indicator you are not spending enough to provide quality service which is unmaintainable in the long run. Many property management companies look at the revenue growth metric from a business-as-a-whole perspective. And while this is good for determining the overall financial health status of your company, it doesn't provide a thorough picture of how each property is performing. Numerous companies also focus too much of their attention on occupancy levels rather than cash flow. You always want your cash flow to increase. Even if occupancy rates drop, revenue needs to increase. This is a sign that your company is scaling. It allows you to grow from a property management company that manages only five properties to 50 or more. To achieve an accurate view of your financial health, you'll need to look at revenue streaming from each property versus your revenue as a whole. Looking at each property allows you to match them against their expenses and then calculate which ones are the most profitable. You may find properties with access to free WiFi are bringing in the most revenue. If so, then this is a feature you would want to consider adding to all of your properties. You can speak with the landlord and discuss how to bring life to your revenue-generating ideas. Do you have a lemon in your portfolio that is more expensive to maintain than is reasonable? Are you spending far too much or far too little to manage your properties? This metric can tell you a lot about your maintenance programs. If you’re spending too much money on third-party make-readies or simple maintenance, it might be time to weigh this metric against the cost of adding a member to your in-house maintenance team or considering more preventative maintenance. If you’re not seeing a reasonable amount per property managed, you probably need to track your expenses more closely - the cost of doing something in-house isn’t free. 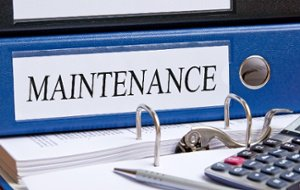 Count your maintenance technician’s hours spent at each property through your work order system and be sure to include that amount multiplied by their hourly cost to you for accuracy when measuring this metric. Property owners tend to pay property management companies eight to 12 percent of their revenue. This means if a property owner is making $800 a month on 10 units ($8,000), then he will likely pay a property management company somewhere around $800 a month to manage those properties. Is this what you charge to manage 10 units? What services do you provide for $800 a month? What services do your competitors offer for an $800 monthly fee? A quick analysis of market trends may reveal you are undercharging for your services. You may also discover your overcharging, thus being a reason you're finding it difficult to land new deals. If you offer discount rates during the beginning, how long does this discount period last? Ideally, it will be no more than six to 12 months. You have to stay on top of things to know when discount fees stop and regular fees start. This is why expenses per property managed is such a vital KPI to measure on a monthly basis. With the expenses per property managed metric, you look at each property individually. You'll see how long you've been managing that property, how much it's costing you to manage it, and whether or not there are any fee adjustments that need to be made. For example: After managing a property with limited parking for two years, the owner decides to add additional parking and asks for you to sweep the parking lot once a week. While looking at the expenses per property managed metric, you see that you have been sweeping the parking lot for two months without adjusting the fee. Now that you see what has happened, you can alert the owner to expect a $50 increase in his monthly invoice due to the added service you are providing. Is your marketing highly effective, good enough, or costing you far more than it should? 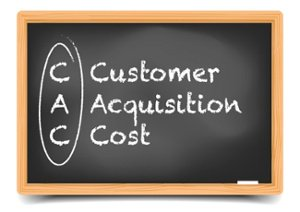 Tracking your client acquisition cost will help you answer that question based on fact instead of a general feeling about your advertising success. This metric should be tracked as a whole spend per client, but we also suggest tracking the success of your specific advertising spends to determine what your most effective property management marketing methods are. To optimize your spend, drop low performing marketing initiatives in favor of the ones that are providing good client acquisition. Both you and the property owner lose money when a unit goes without a tenant. A simple way to fix this problem is by lowering the rent amount, but when you do this, you end up losing money. The trick here is to reduce the first two month's rental payment. Say a unit is normally $800 a month. Renting it for $550 for two months will capture the attention of those looking for a place to rent. Although you are losing $500 due to the discount, you are securing at least a year-long lease. You're also shortening the vacancy cycle, and hopefully, thanks to your generosity combined with impeccable maintenance services, the tenant will renew the lease once it's ended. Most times, the only reason a unit will stay vacant for more than two weeks is because it’s not marketed correctly. Considering alternative marketing channels, like Craigslist, local newspapers, and even radio ads can shorten vacancy cycles. All of these metrics will prove useful come budgeting season, and throughout the year as you track the financial health of your property management company. Are you tracking your metrics? 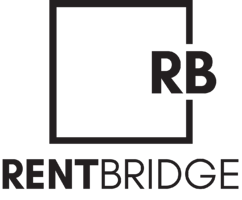 If you need an outside perspective to help you create a game plan for property management success, Rent Bridge can help.